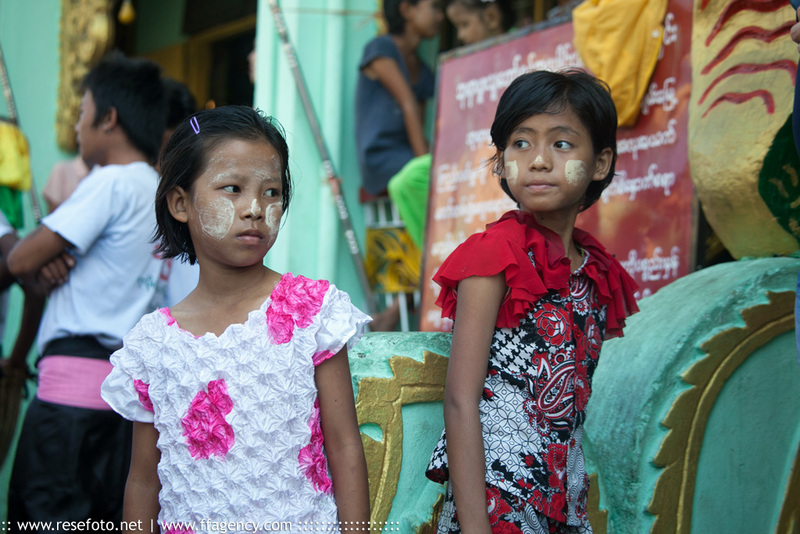 Faces of Burma. Girls smothered in thanaka (traditional Burmese make-up) Rangoon, Burma. Photo: Anders Thorsell.